This family run nursery, set in beautiful Ashdown Forest is located on the B2026, 2 miles north of Maresfield, on the road to Hartfield. 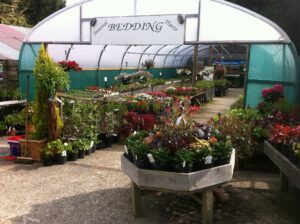 We sell a wide range of home grown plants, trees, seeds, bulbs, compost and a wide range of garden equipment. PN Paving are also on site, supplying a wide range of paving and stone. We grow a very unusual plant – Lapageria Rosea which is available for sale in the shop. 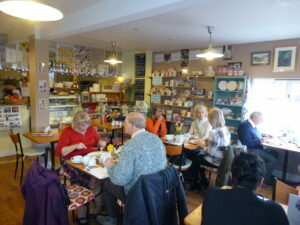 The busy Greenfingers cafe specialises in delicious home made soup, quiche, cakes and much more. There is a small kids play area and both children and dogs are welcome. 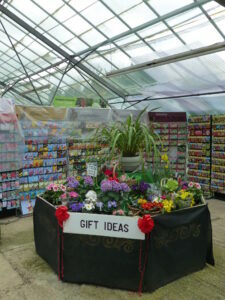 10% discount on garden centre products for horticulture and allotment societies. There is plenty of parking with safe wheelchair access. 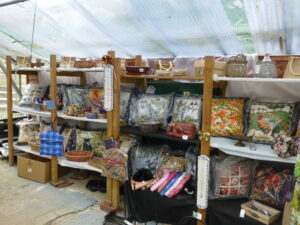 Open 6 days a week – 9.30 – 5.00 Tuesday – Saturday and 10.30 – 4-30 on Sundays.